To provide Financial Management and Administrative support to the Program as per WV policies and procedures. 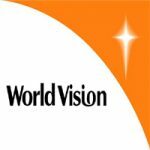 Prepare internal and external disbursement according to World vision operating policies and GAAP and submit them to the cluster office for payment and entering data in to Sunsysteam, ensure that all such payment requests are within budget, adequately supported and in accordance to WV Tanzania approval limits. Handle petty cash float of the program, ensure all payments are properly approved with the relevant backups, ensure there is timely reimbursements done; all cash collections are recorded and timely deposited in the bank. Participate in Projects Budget Preparation and Management, monitor spending against budgets for all projects with the Program to ensure no under or overspending takes place. Reconcile store records, raise purchase requisitions and submit to cluster for processing, follow up purchased items at NO on behalf of the ADP for timely delivery and reconcile with GRN at ADP. Maintain an updated and complete Fixed Asset Register at program level, Perform assets inventory at Least twice a year, all assets are tagged and coordinate disposal of obsolete assets as per WV Policy. Also oversee any WV assets that could be transferred to Partners within the ADP to further WV business, post all the financial transactions to the systems. Participate in Project Visits for review of ongoing constructions, ongoing seminars and verification of delivered items to beneficiaries prior to payment by cluster office; facilitate Sponsor visits and GN processing to RC Families and Community. Responsible for building capacity of staff and partners within the ADP in Financial Management and WV Financial Policies and procedures. Manage all Travel and business advances issued to staff within the Program by ensuring that they accounted for on time, no advances are issued before retiring previous one and that advance are used for WV business only. Review of partner’s budget, detailed implementation plans and cash flows, sub-grantee monitoring, physical verification of expenditure and submission of partner’s retirement or expenses to the cluster for posting. Support Internal and External Audits at ADP level including partners audits. Ensure monthly financial reports with complete attachments are filed at the project, share monthly variance reports and expenditure analysis with project management. Minimum Qualification required: Degree in Accounting or Finance. Experience: 2 years in Project Accounting or Financial Management. Preferred: Degree in Accounting with CPA Module E.